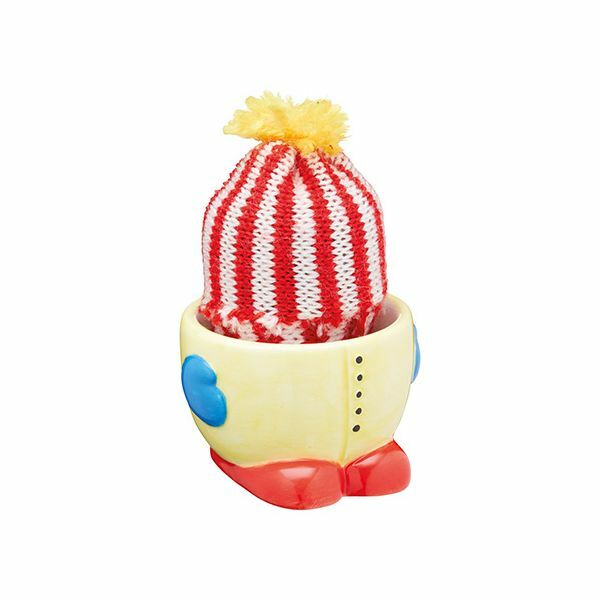 This KitchenCraft novelty 'keep me warm' egg cup and cosy set is made from bright and colourful ceramic and is complete woolly striped knitted cosy. Perfect for keeping your boiled eggs piping hot. The novelty egg cup and cosy set makes a lovely gift for friends and family.